NFL 2010: Teams on the "Bubble"
In every NFL season, we watch various teams emerge or appear that were not expected to do well or let alone make the playoffs. Below, I have provided one team from each of the eight divisions that I expect to perform rather well and be a possible playoff contender. I know some may consider these picks laughable or completely incorrect, but if 2010 is not the season for these squads, at least they will be a team that will continue to make adjustments, correct mistakes and increase their progress in moving toward the top of their divisions. 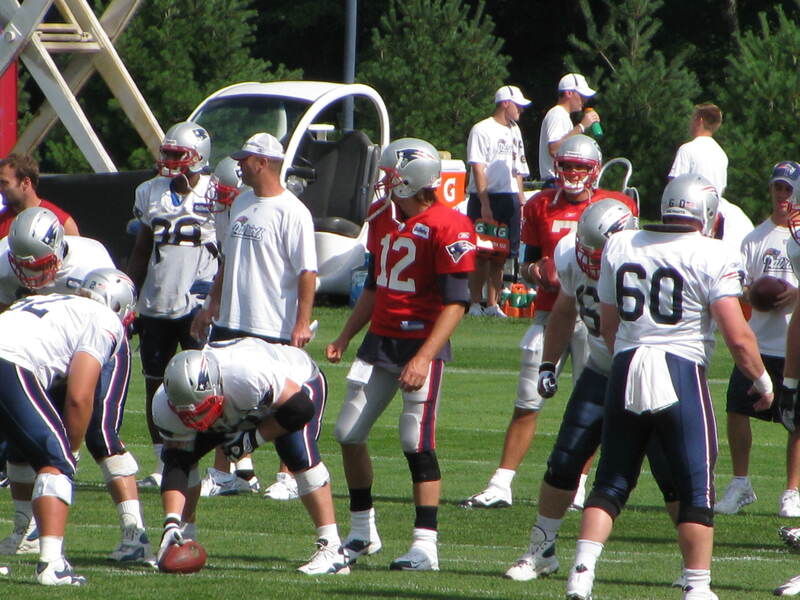 AFC East – New England Patriots: Almost every season, Tom Brady, Bill Belichick and the rest of the Patriots offense and defense is always prepping themselves to capture their fourth Vince Lombardi trophy. Yet, the football writers and spectators seem to be agreeing that this particular squad will not do well or even be playoff bound. I disagree, especially from what I saw on Saturday at Gillette Stadium. Yes, the Patriots have questions, such as, who will be their true leader on and off the field, can Brady focus on playing football and less about a new contract, as well as will the young defense be able to hold their ground against talented offenses. These questions and others need to be addressed, but in the meantime, I classify the Patriots as a team that will be under the radar all season, especially in a competitive AFC East that features two talented rivals, the Dolphins and Jets. AFC North – Cleveland Browns: In a division where the Browns doesn’t receive much love, nor a hug, I will toss the dog pound a bone and consider them a team on the rise. Don’t get any ideas Browns fans, but your team will turn around and eventually win eight or nine games or eventually, 10 or 11. Unsigned rookie defensive back Joe Haden will help Eric Mangini build a solid defense and by having veteran quarterback’s Seneca Wallace and Jake Delhomme will help prepare rookie quarterback Colt McCoy for a bright future in orange and white. AFC South – Houston Texans: Being a Dallas Cowboys fan, I am somewhat high on the other Texas team too. They had a good campaign in ’09, but expect them to be a true playoff contender come December. Texans fans need to watch the Colts and see if they can stop last year’s Super Bowl runner up, as well as earn four wins against both the Titans and Jaguars. Although, a team that has pro-bowl caliber candidates, which includes DeMeco Ryans, Andre Johnson, Matt Schaub and Owen Daniels, why wouldn’t the Texans be feared? If they improve their ground attack, become more aggressive on defense, act smarter in the red-zone when on offense, as well as remain healthy, then they should be a team to watch this fall. Thomas Jones will be utilized this season in Kansas City. AFC West – Kansas City Chiefs: The Chiefs are really, (New England Patriots 2.0). They certainly were dismal and not fun to watch in ‘09, but with a new group of coaches intact, which includes former Patriots offensive and defensive coordinators, Charlie Weis and Romeo Crennel, as well as general manager Scott Pioli, it is safe to say the team is headed in the right direction. Quarterback Matt Cassel needs help offensively and hopefully newcomer Thomas Jones can provide relief. Mike Vrable will be key to anchoring the defense and by providing leadership. NFC East – Washington Redskins: The Dallas Cowboys should run this division, but who is a solid pick for second place… the Washington Redskins! New head coach Mike Shanahan already has his hands full with newly acquired quarterback Donovan McNabb and veteran defensive lineman Albert Haynesworth. The New York Yankees of football have talent and need to come together as a unit in camp. NFC North – Chicago Bears: Chicago just watched the Blackhawks hoist the Stanley Cup trophy, which will be the only championship for the Windy City to celebrate at the moment. The Bears are not a championship team, nor at the Blackhawks level. Offensive coordinator Mike Martz is a key addition to head coach Lovie Smith’s staff, but can he work peacefully with a quarterback that threw the most interceptions in ’09? Also, how will linebacker Brian Urlacher do, following a season ending injury that occurred in week 1 against the Packers? Questions and concerns remain for this Bears team, but if they finish the season 8-8, especially in a division that will be ruled by the Packers and Vikings, then maybe Mayor Robert Daley could consider having a loser parade for his gridiron gang. 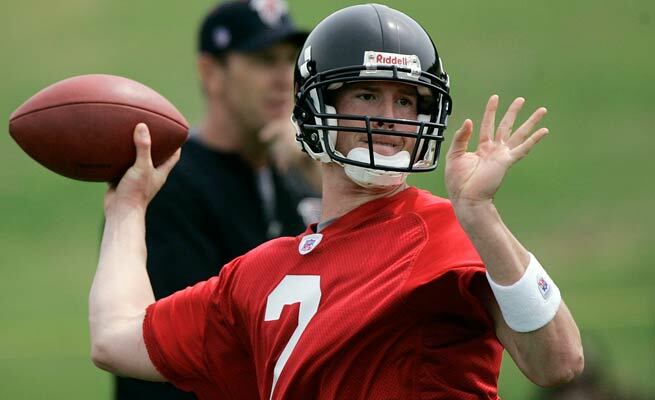 Can Matt Ryan rebound after a rocky 2009? NFC South – Atlanta Falcons: Quarterback Matt Ryan had a sophomore slump, but the Falcons still played well. With literally the same team in tact, along with a few new additions of rookies and veterans, I expect the Falcons to return to their ’08 form and capture the NFC South. NFC West – San Francisco 49ers: Similar to Houston, I support San Francisco because clearly they are the best team in this division. Quarterback Alex Smith is the question mark, but if receiver Michael Crabtree remains healthy and the offense establishes a running attack, how can the 49ers not be a team to fear?